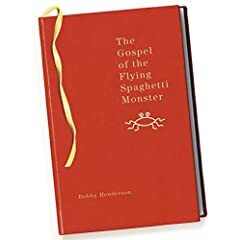 A great book for all the pastafari-religion practitioners out there: The Gospel of the Flying Spaghetti Monster. Just added to my wishlist! Best definition of ‘closure’. Ever. Well, that’s not the name of the band of Jonathan Coulton but I think it should be. Jason Gilmore debunks five misconceptions and myths about PostgreSQL in his article “Five reasons why you should never use PostgreSQL — ever. And now the reason to use it: if you do Ruby, you do not want to be a LAMR! I’m looking for an antivirus for a medium-size client (60 Windows XP workstations, 4 Windows servers, 1 Linux server) and hell if I know what to do. Over the past three years I’ve worked with Panda (both the old antivirus and the new BusinesSecure), Kasperksy, Symantec, Trend Micro and McAfee antiviruses. Which is the one I liked the most? Absolutely no one. Everyone of them fails here or there: bad support, bad antivirus, bad or no antispyware, bad or no antispam, bad or no Active Directory integration, etc. Antispam for the client workstation. Server antispam is not important for us, really. We prefer to run CRM114, SpamAssassin or alike. The antivirus business is currently a “choose your poison” business. Lame. Real Programmers are reluctant to actually edit a program that is close to working. They find it much easier to just patch the binary object code directly, using a wonderful program called SUPERZAP (or its equivalent on non-IBM machines). This works so well that many working programs on IBM systems bear no relation to the original Fortran code. In many cases, the original source code is no longer available. When it comes time to fix a program like this, no manager would even think of sending anything less than a Real Programmer to do the job– no Quiche Eating structured programmer would even know where to start. This is called “job security”. Funny how many things today we consider to be obscure and to require a master to deal with were considered toys twenty years ago.